The idea was discussed at a party meeting on 13 July, but no decision yet on whether the proposal will find its way into the Congress manifesto. New Delhi: The Congress is deliberating on whether to offer a major tax sop in its manifesto, as part of efforts to court the middle class in the 2019 general elections. The party’s top leadership is chewing over a proposal promising no income tax for those under the age of 35. Although there has been no decision on whether the party will include the proposal in its manifesto, sources confirmed to ThePrint that the idea was discussed during a meeting of the Congress’ top leadership on 13 July. “Nothing concrete has come out on that front but yes the idea to not tax those under 35 was briefly discussed at the meeting,” said a source. 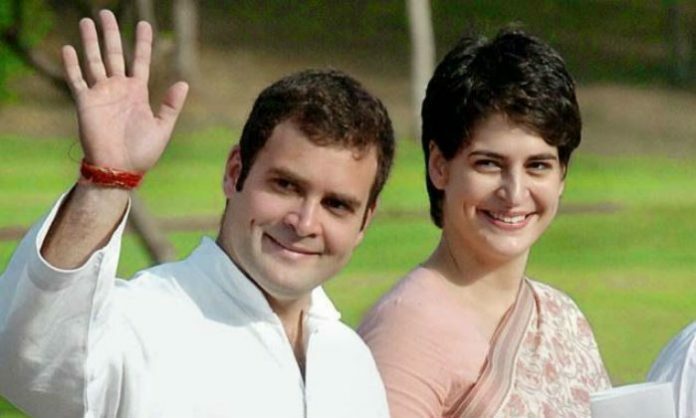 The meeting was helmed by Priyanka Gandhi, who is managing the party’s strategy behind the scenes. The Congress reasons that the move will also appeal to younger voters, a population demographic that the party believes will be electorally vital come 2019. It estimates that around 15 million first-time voters will cast their votes in next year’s Parliamentary polls. The argument for the move within the Congress is that it will promote entrepreneurship and allow the younger population to dabble with new businesses, which in turn will lead to the generation of new jobs. The proposal is in line with the party’s efforts to tap into younger voters. In the 2014 Lok Sabha elections, the Congress manifesto had promised jobs for youths within 100 days, if the party was voted to power. The 80 crore Indians, the Congress talked about in 2014, still remain a top priority for the party and the 2019 manifesto could spell out attractive measures for them. In that respect, the idea of an income tax exemption may prove a game changer if the Congress decides to give it space in the party manifesto. The deliberations on various proposals come as the Congress is looking at preparing its manifesto way ahead of the 2019 elections. The party will use crowd-sourcing as a major tool to formulate its poll document. The Congress had earlier held meetings with different population groups during the Gujarat and Karnataka assembly elections when it was preparing its manifestos then. A similar exercise is expected to be carried out nationwide in the coming few months. Sources told ThePrint that the responsibility will be handed to Sam Pitroda, chairman of the Indian Overseas Congress, who had worked on the Gujarat and Karnataka election manifestos. The BJP can outdo this by getting rid of all income tax for every age as proposed by Dr Subramanium Swamy. It’s like excused loans and increased fuel cost in Karnataka. Waive taxes on age criteria and increase taxes to others thus dividing honest tax payers. Congress will do anything for power. Never believe them. 2019 people decide-should India b under a family or ruled by “any” commoner. The ANTI-NATIONAL ELEMENTS look for DESTROYING the country by such moves.unless basic enactments passed to safeguard the interests of the nation and not to appease voters in the name of caste,coloue,corruption,region,language,religion and freebees,subsidies ,economic concessions.the will be ruined by mean minded ANTI-NATIONAL ELEMENTS. What an idea. ! !Who parented it great mind. Let him also give ideas how to lead our country into bankruptcy !!!! Good move, but should be thoroughly examined before introducing. It should not be like health insurance to every indian, introduced by the biggest Jumlebaj of the century Shri Modi ji. Typical congress way of giving freebies or spoil the generations to rule and loot the country. Karnataka is bankrupt under the Congress rule for 5 years. People should realise this and throw congress out from India. Beware of Mr Chidambaram.P. He might well be there to derail this type of idea. He may well take idea from Trump; and then from Ambanis, whose family infight on the death thier father Dhirubai Ambani had forced, the then FM, Thiru Chidambaram to have sleepless nights till the infight was over. The Party must think to exempt pensioners, who contributed honestly in the Government’s kitty during his entire service. And the pension is not an income. why you are mentioning as “Priyanka Gandhi” instead of “Priyanka Vadra” . How many generations the word Gandhi will go? And they form a considerable chunk of income tax collected. I don’t have the data, but anecdotal samples I have seen a 30 year old in IT/BPO jobs makes more money than his parent in good paying govt job with 20 years of service. As per Times of India Report in 2017, out of 125 crore Indians , only 1.93 crore people pay income tax. If you work out the citizens below35 years, this jumbo plan of Congress will fall flat even before it is taken to people. Always looking at the short cuts to power. Like the 15 lakh jumla. I am voting for Congress if it comes in the manifesto ! A sure recipe for India to be Bankrupt like Pakistan or Venezuela! Trust KHANGRESSI Pappu to destroy fiscal prudence , allowing Pappu to indulge in more Corruption, Scams & Ghotala, let the Country go to DOGS ! No. he will tax those above 36 3 or 4 times their current income. So the short fall will come from Italy. No ! from your Tau’s house !